Hello and welcome to GetWebInfo.Com. Here on this post you can know that how can you add Stylish Hover Page Navigation Menu in Blogger. This is one of the most important gadget in blog is navigation menu. Navigation menu help to access your blog category pages, and your blog readers can easy to access your category pages. So now we going to show you how to add stylish animated navigation menu to blogger/ blogspot. 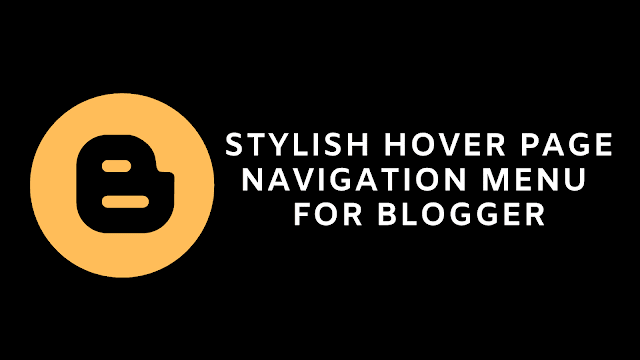 This navigation menu make your blog attractive and stylish for your blog visitors. How to Add in Blogger BlogSpot? Step 02: Open Your Desire Blog where you want to add this widget as your blogger menu. Step 04: Click "Add a Gadget" Where you want to Add it. Step 05: Now scroll to "HTML/Jvascropt"
Step 06: Click on "+" icon to Add it. Step 07: Now copy the Below code and Paste it to there. Step 09: Click On Save button and now you can all done. 03. Now Save your template, And you can all don. 01. Change All Red with Your Text! 03. Now save your template and you can all done. Well Thanks for given your feed back. Thanks!!!! !